In 2009, two cousins, Allison and Lauren, found themselves living in the same state for the first time in their lives. Lauren and Allison's fathers are brothers, and grew up in Lancaster, Pennsylvania, but while Alison grew up in Lancaster, Lauren spent her early years in Utica, NY. 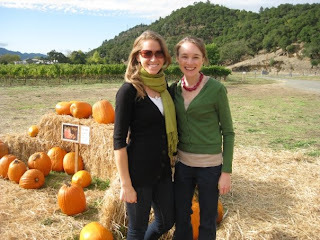 Now, both girls have found themselves living and working in Northern California, and at 23 and 28, are making up for the childhood adventures they did not get to share by sharing their young adult adventures. Through this blog, Lauren and Allison plan on sharing their adventures, their passions, and their funky finds. We hope you like sharing in our world.